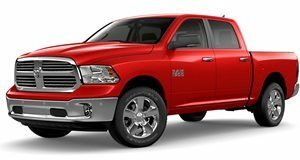 2017 Ram 1500 SSV 4x4 Crew Cab 5'7" Box powered by 5.7-liter V8 Gas Engine with 6-Speed Automatic (65RFE) (STD) transmission. Agriculture Red, Build Out:05/10/2017. Minimum Build Quantity of 10. Black Clearcoat, Build Out:05/10/2017. Minimum Build Quantity of 10. Bright Green, Build Out:08/22/2016. Minimum Build Quantity of 10. Bright Red, Build Out:05/10/2017. Minimum Build Quantity of 10. Construction Yellow, Build Out:08/22/2016. Minimum Build Quantity of 10. Detonator Yellow Clearcoat, Build Out:05/10/2017. Minimum Build Quantity of 10. Hills Green, Build Out:05/10/2017. Minimum Build Quantity of 10. Holland Blue, Build Out:05/10/2017. Minimum Build Quantity of 10. Light Cream, Build Out:05/10/2017. Minimum Build Quantity of 10. Light Green, Build Out:08/22/2016. Minimum Build Quantity of 10. Midnight Blue Pearlcoat, Build Out:08/22/2016. Minimum Build Quantity of 10. National Safety Yellow, Build Out:08/22/2016. Minimum Build Quantity of 10. Omaha Orange, Build Out:05/10/2017. Minimum Build Quantity of 10. Power Tan, Build Out:05/10/2017. Minimum Build Quantity of 10. Robin Egg Blue, Build Out:08/22/2016. Minimum Build Quantity of 10. School Bus Yellow, Build Out:08/22/2016. Minimum Build Quantity of 10. Timberline Green Pearlcoat, Build Out:05/10/2017. Minimum Build Quantity of 10. Tree Green, Build Out:05/10/2017. Minimum Build Quantity of 10. Yellow, Build Out:05/10/2017. Minimum Build Quantity of 10.